Common names can be marvellous but do all species need them? Chimney Sweeper, Maiden’s Blush, Peach Blossom. British moths have some fantastic English names. There’s also the Drinker, the Conformist, the Sprawler, the Phoenix, and the Saxon. 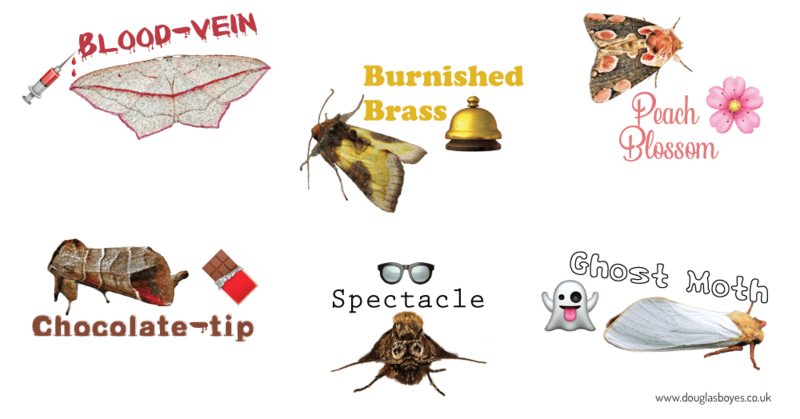 Such enchanting names are at the root of the ever-growing popularity of moth trapping. They capture our imagination and stick in our minds. Who wouldn’t be fascinated by creatures with names like Brindled Beauty, Plumed Prominent, Feathered Footman, or Marbled Minor? But not all are blessed with a common name. The majority of British Lepidoptera are known only by their scientific denomination. Many of these don’t exactly roll off the tongue (try Schrekensteinia festaliella or Ptycholomoides aeriferanus). Some are even longer than the insect itself. So why do so many species lack an English name? Is this something we should rush to rectify? Captivating common names add to the magic of moths.